Oh hello you beautiful thing! 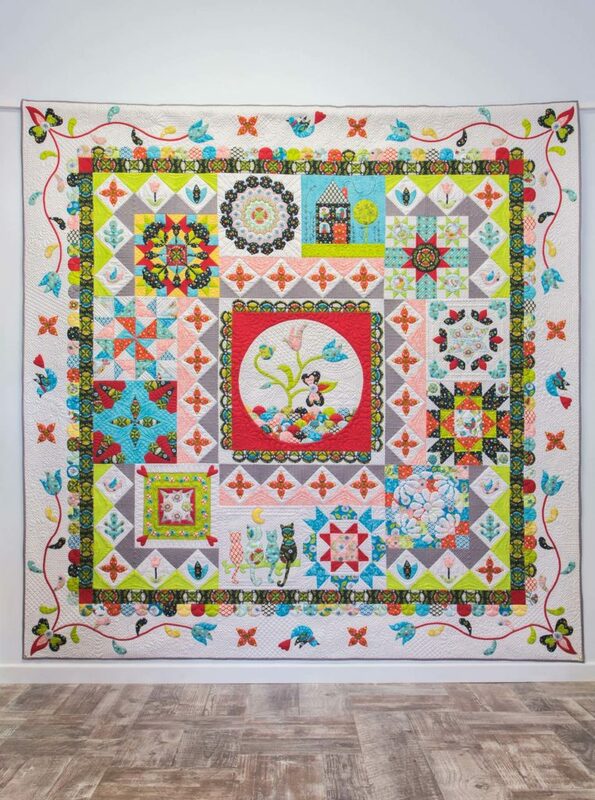 Have you heard about the Patchwork Puzzle Collaborative Quilt Along? Let me tell you all about it in a minute but I’ll let you take in this beauty first…. The Patchwork Puzzle – is a collaboration between 12 Australian Designers and 12 fabulous stores. We have all been working hard behind the scenes to make this one fabulous journey and I would love you to come and join us. Each Designer has created their own signature block available to purchase from their allocated shop. The ‘puzzle’ pieces are spread around Australia, your job is to put them all back together again. 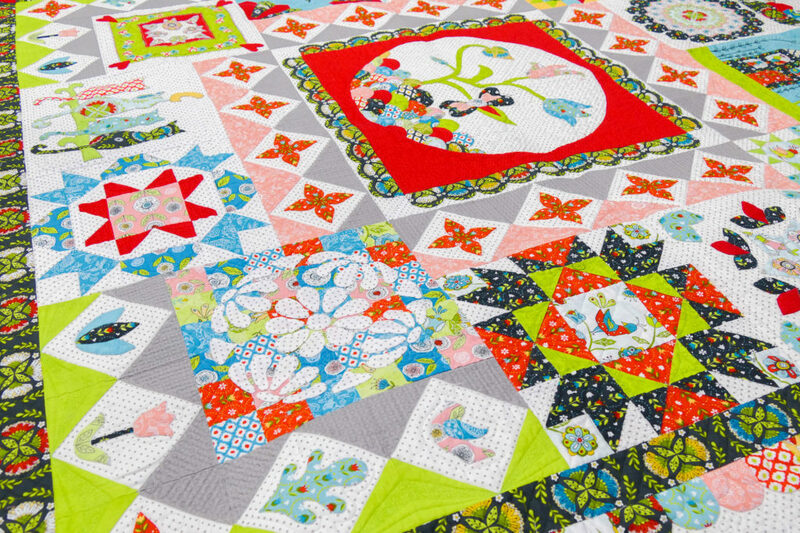 Blocks demonstrate different skills such as English Paper Piecing (EPP), Machine Piecing, Applique and Embroidery and they all come together to produce a magnificent quilt. 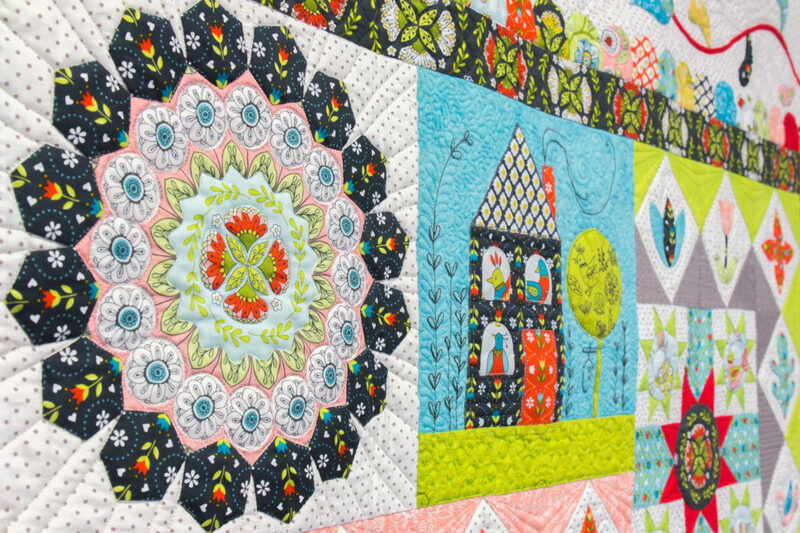 Each pattern block is packaged in a limited edition cover unique to that Store and Designer – these alone will fast become a collectible piece! 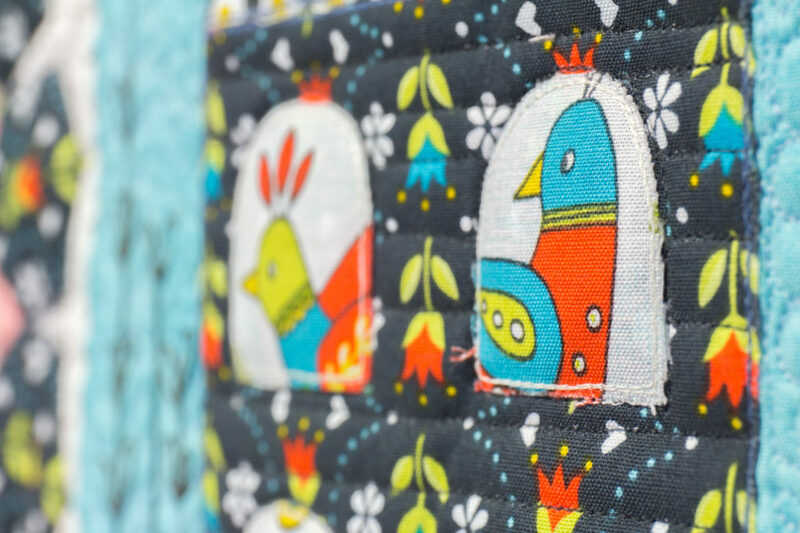 My block with the birds peeping through the windows is only available from Deanne at Fabric Patch. For more information about the 12 Australian Designers and stores taking part in this puzzle along with some wonderful prizes please visit the Patchwork Puzzle website. A new Facebook group has been created for anyone putting the ‘puzzle’ pieces together or those who would like to follow along – this is a fabulous way to connect with others plus a great source of inspiration while sewing your way through each block. You will also find many of the Designers and shop owners popping in to help and answer questions or give advice along the way.